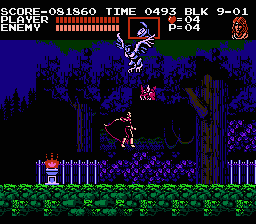 NES Castlevania III: Dracula's Curse (JPN) "Alucard path" in 25:17.73 by Samhain-Grim. This movie takes the path that recruits Alucard. It is about 39 seconds faster than the previous movie, played by Genisto. There's also a Grant path movie and a Sypha path movie.